BARR. HEMBE TO COMPLETE CONSTITUENCY OVERDUE PROJECTS BEFORE APRIL OR FACE THE COURT. The Former sacked Federal House of representative member for Vandeikya/Konshisha Federal constituency, Barr. Iorwase Hembe is to complete his constituency overdue projects before April or face the court punishment. 1. Hon Mrs MATO is declared the winner of election held in 2015. 2. INEC should withdraw certificate of return and present same to Hon Mrs MATO. 3. Hon Herman Hembe to refund all monies collected from 2015 to 2017 back to the NASS. 4. Hon Hembe to pay a total cost of 700 thousand to the court and Hon Mrs Mato respectively. After the ruling by the Apex court, Barr. Hembe begged the Supreme Court to be lenient on him as he has spent all the salaries he collected as a member of the lower legislative chamber. Hembe was reacting following an order of the supreme court which compelled him to refund the salaries he was paid as a legislator. Hembe complied with the order and even paid the N700,000 awarded against him. 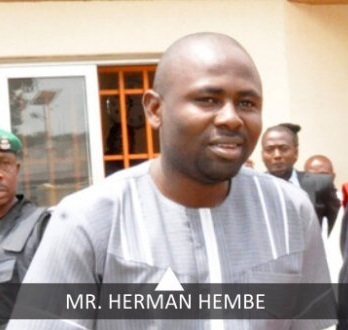 While begging for leniency, Hembe in an affidavit dated July 18 said he used the salaries he received for the upkeep of his family. He further said that because of the high cost of living, it will be impossible for him to return the money he was paid since he didn't save. Hembe said I have tried very hard to raise a loan to enable me comply with the above order of the honourable court, but have not yet succeeded. After the plead by the sacked member, Apex court fixed April 2018 as the day to monitor the constituency projects executed by Barr. Hembe from 2015 to 2017 to be sure that the monies were judiciary used. It is now two months to April, Barr Hembe is now working tirelessly to prevent himself from the court punishment by executing cover up projects within Vandeikya/Konshisha Federal constituency. The good people of Vandeikya/Konshisha federal constituency should be aware that, the ongoing projects by Hembe is their constituency right.